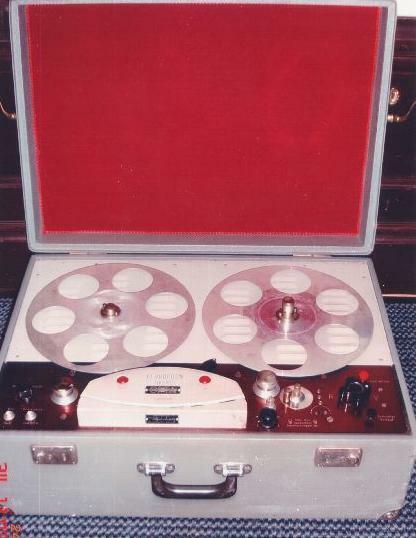 It is a Ferrophon tape recorder, in a "trunk", like the amplifier in the little picture. Made in Germany. The voice of the 60 years old machine is beautiful.